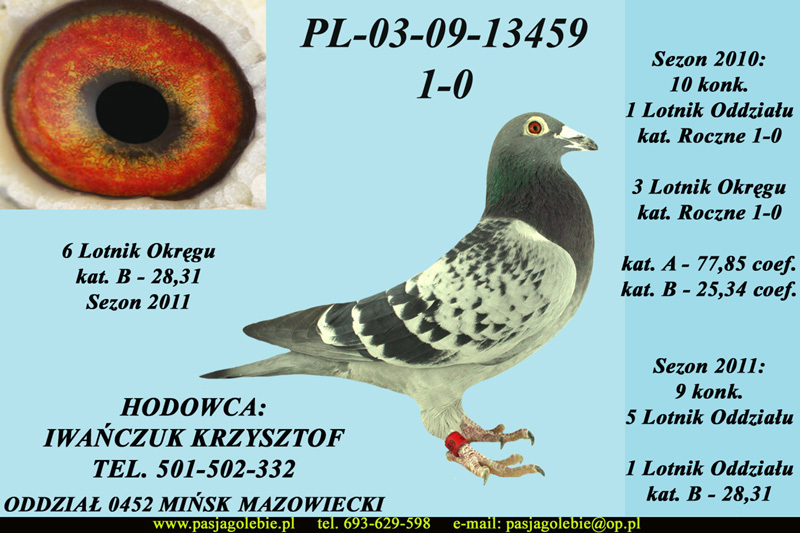 5 ZESPÓŁ GOŁĘBI MŁODYCH W ODDZIALE 15 konk. – 830,97 coef. 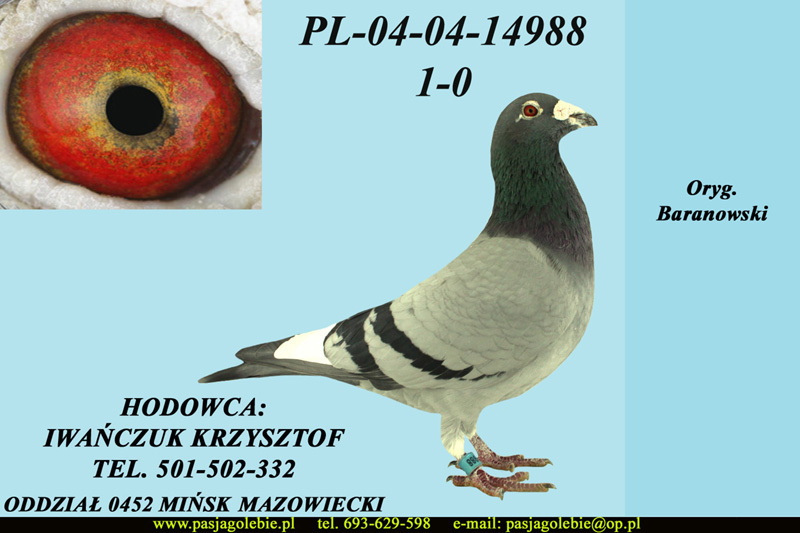 I PRZODOWNIK OKRĘGU WARSZAWA KAT. 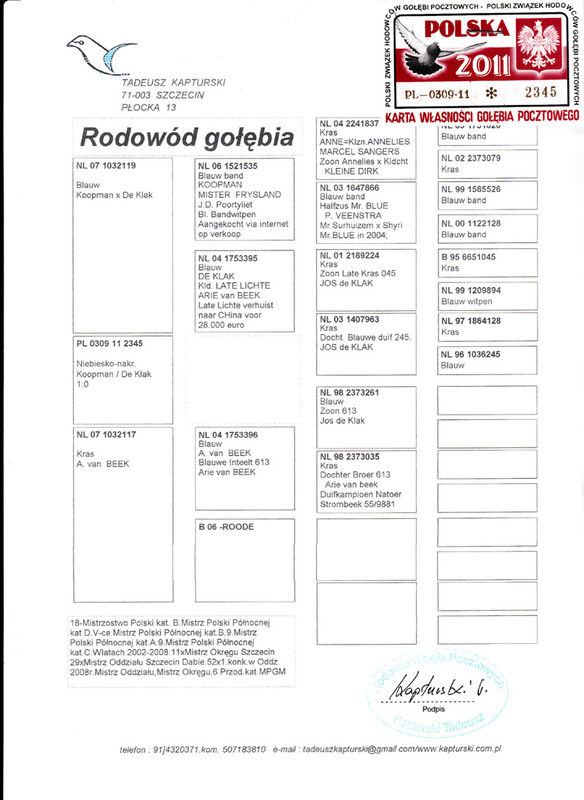 A – 531,68 coef. 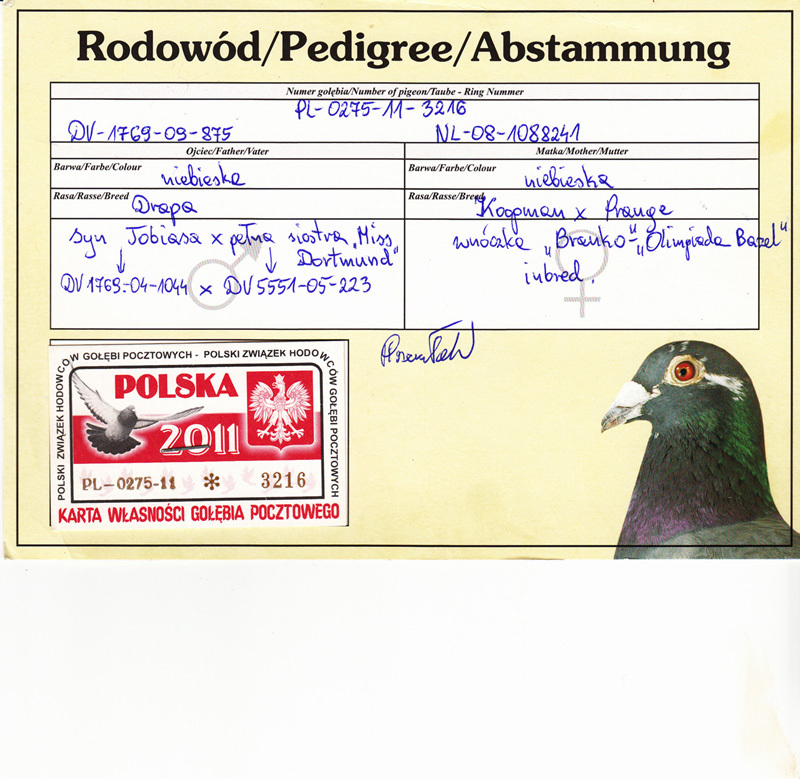 MISTRZ OKRĘGU WARSZAWA KAT. 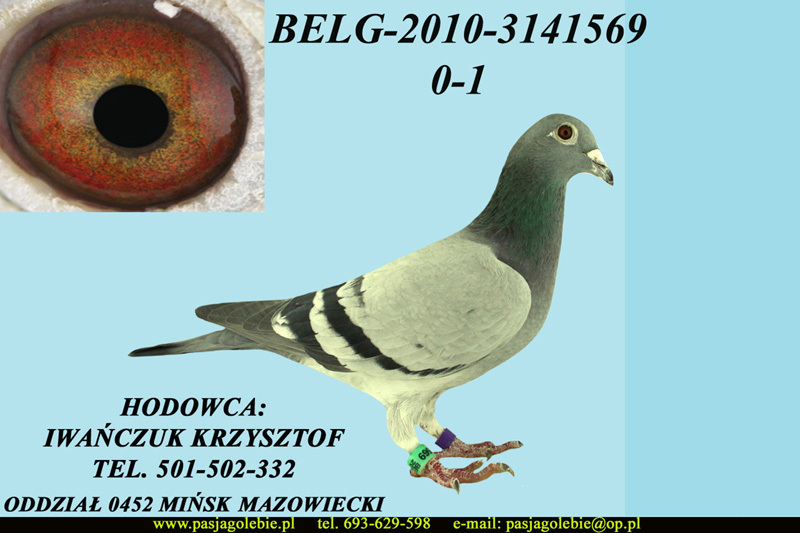 B – 249,69 coef. 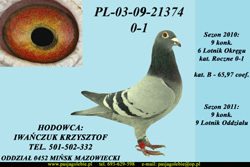 6 LOTNIK OKRĘGU WARSZAWA KAT. A – 76,60 coef. 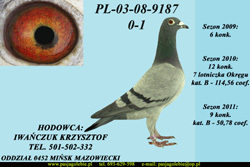 8 LOTNIK OKRĘGU WARSZAWA KAT. 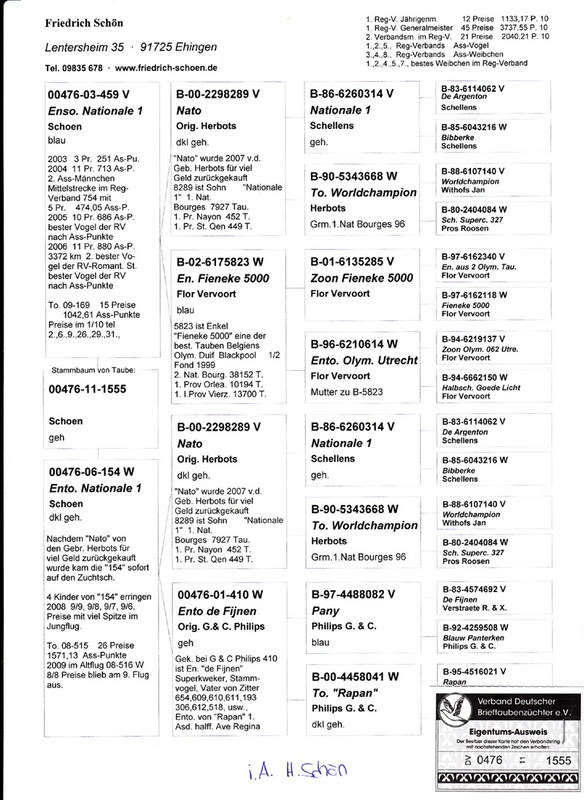 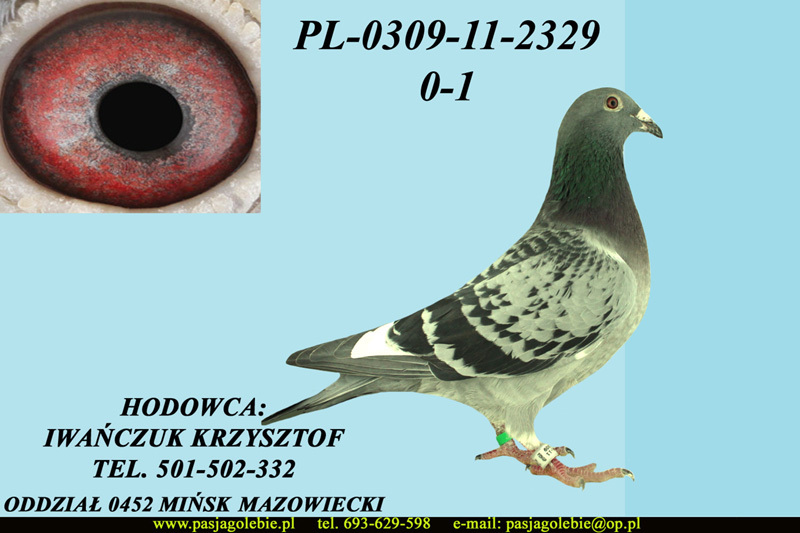 A – 83,53 coef. 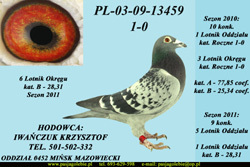 3 LOTNIK OKRĘGU WARSZAWA KAT. 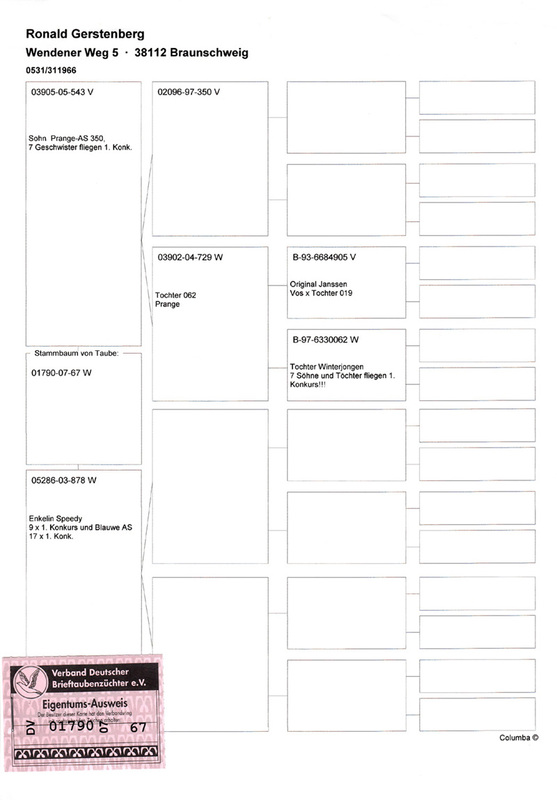 B – 19,29 coef. 9 PRZODOWNIK OKRĘGU WARSZAWA KAT. 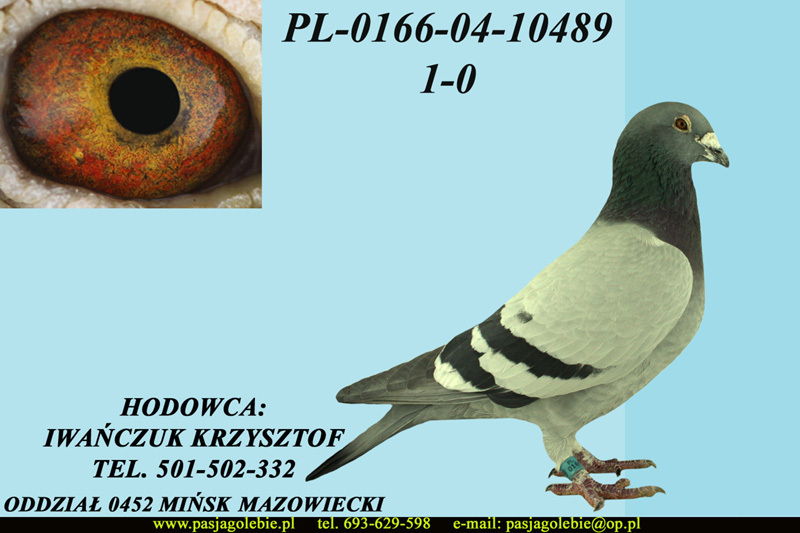 A – 610,30 coef. 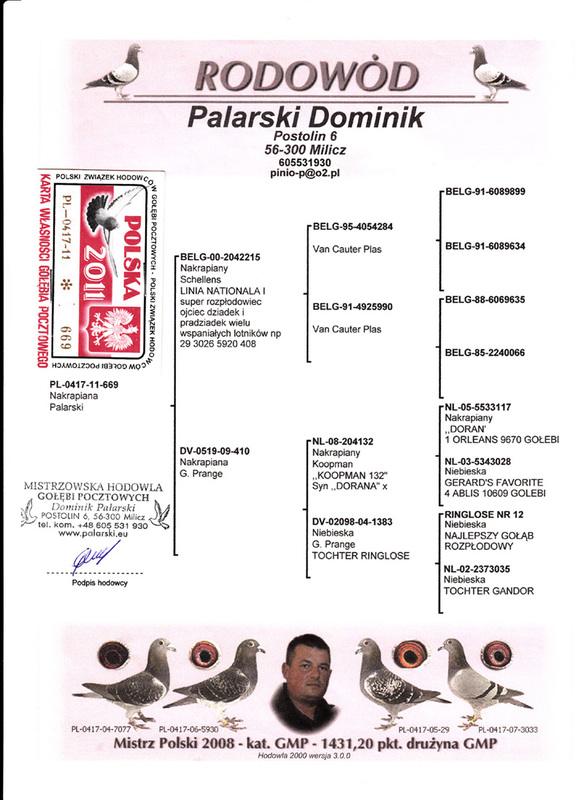 I V-ce MISTRZ OKRĘGU WARSZAWA KAT. B – 200,61 coef. 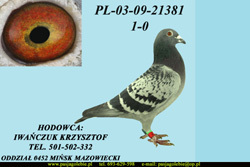 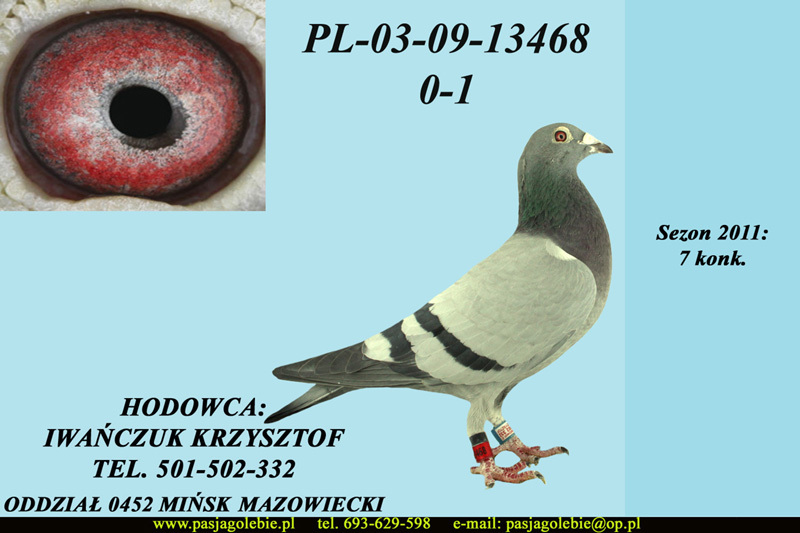 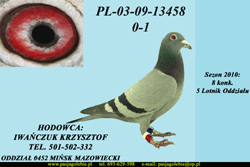 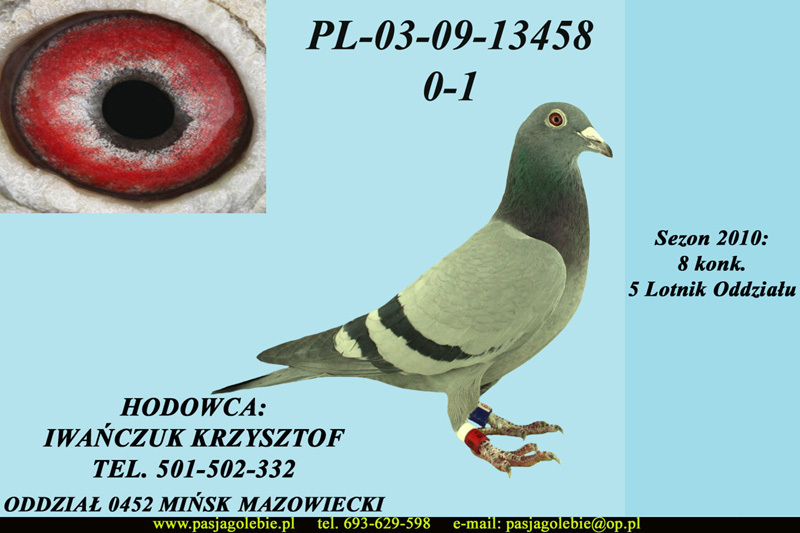 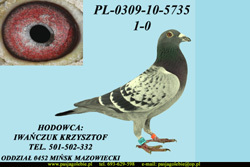 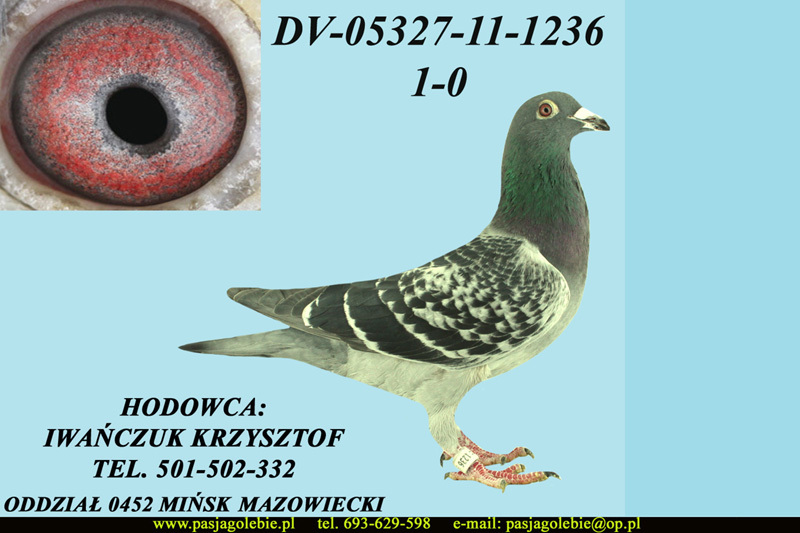 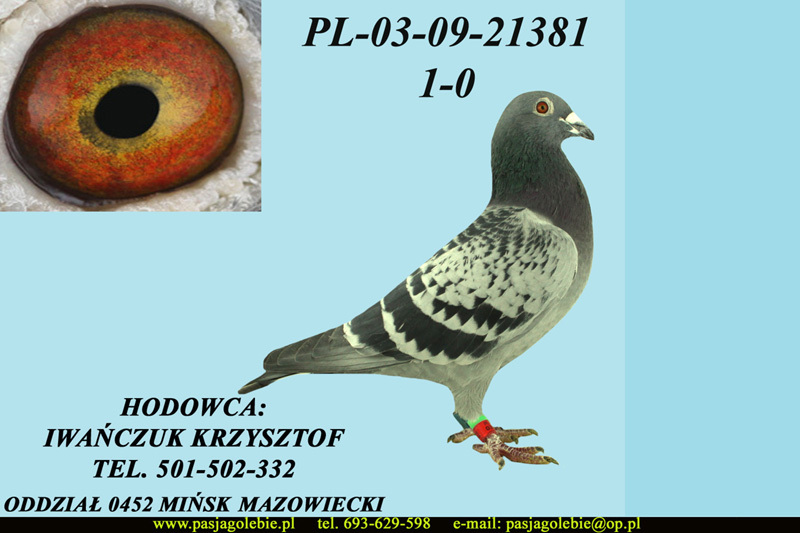 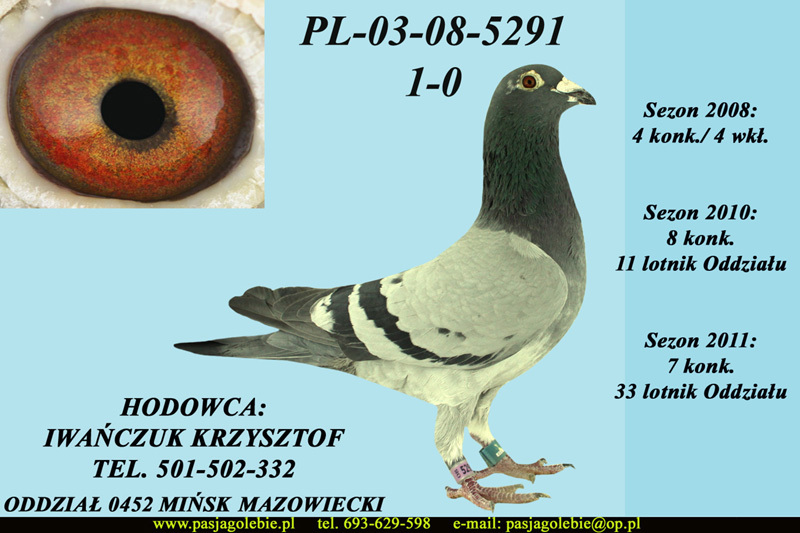 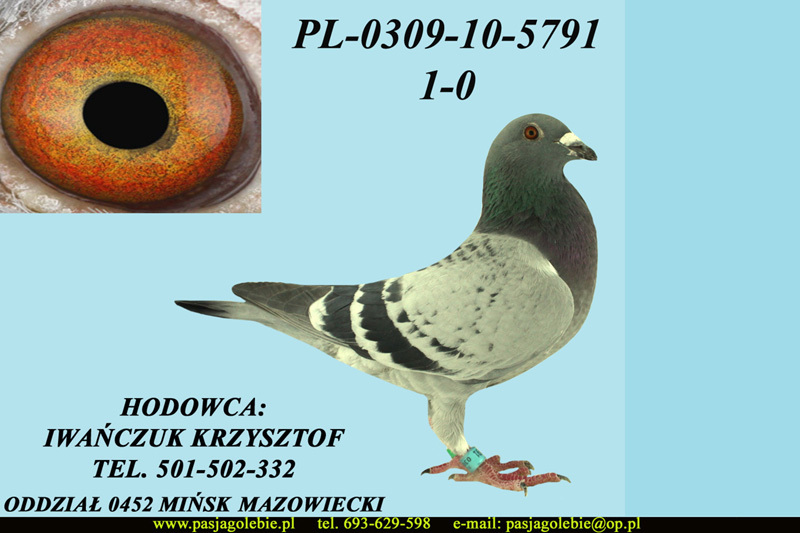 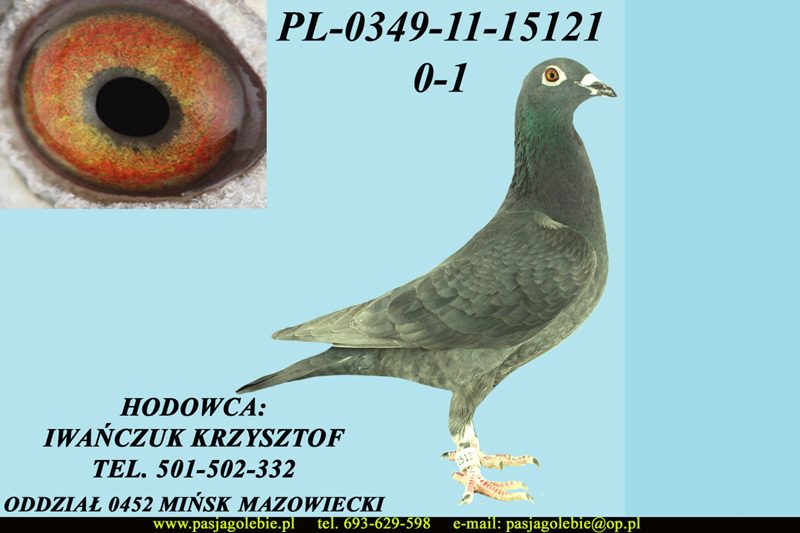 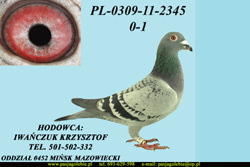 MISTRZ ODDZIAŁU GOŁĘBI DOROSŁYCH KAT.B – 378,16 coef. 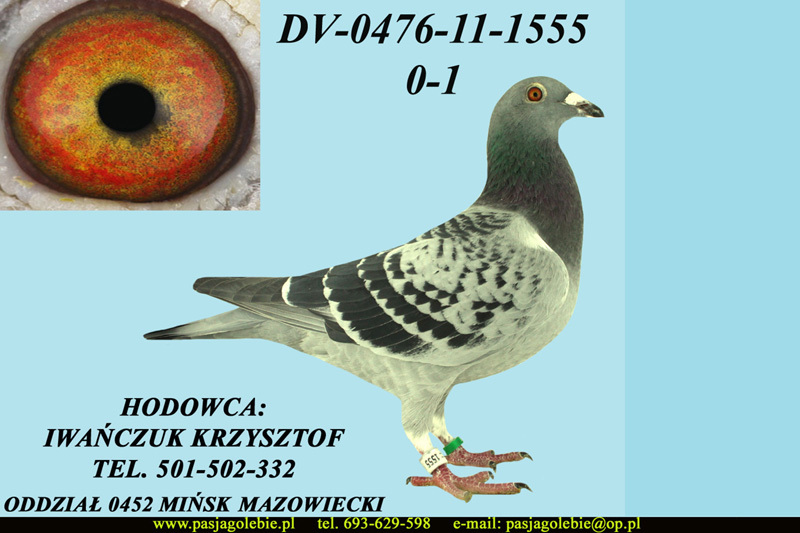 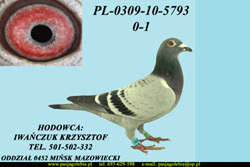 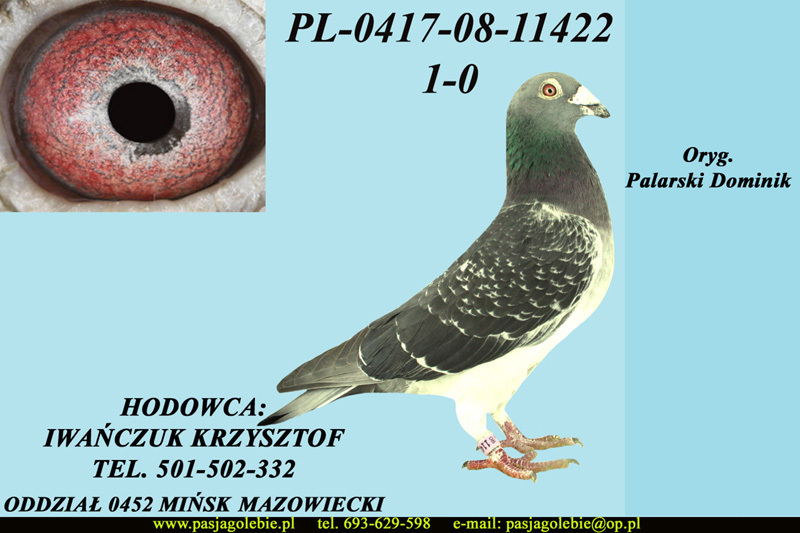 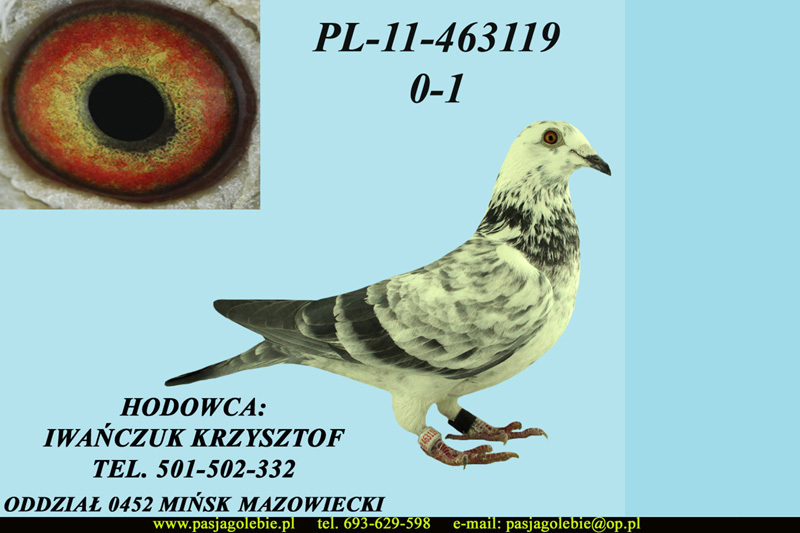 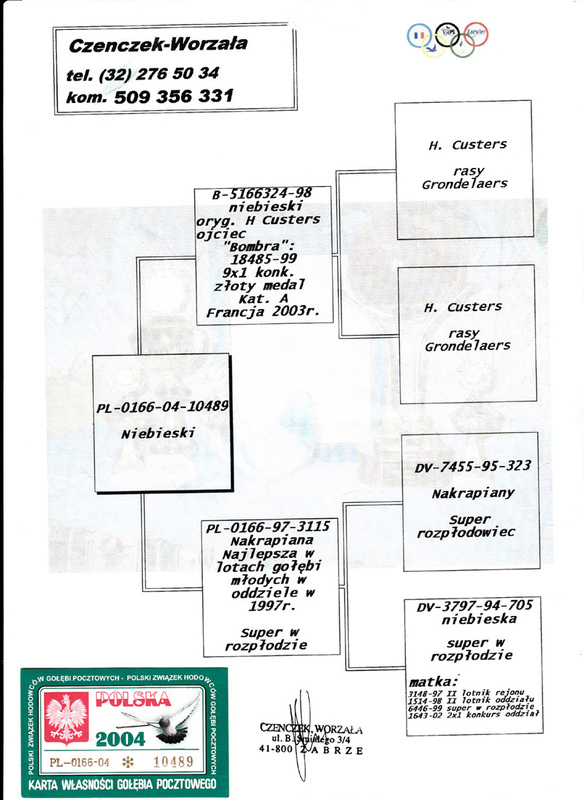 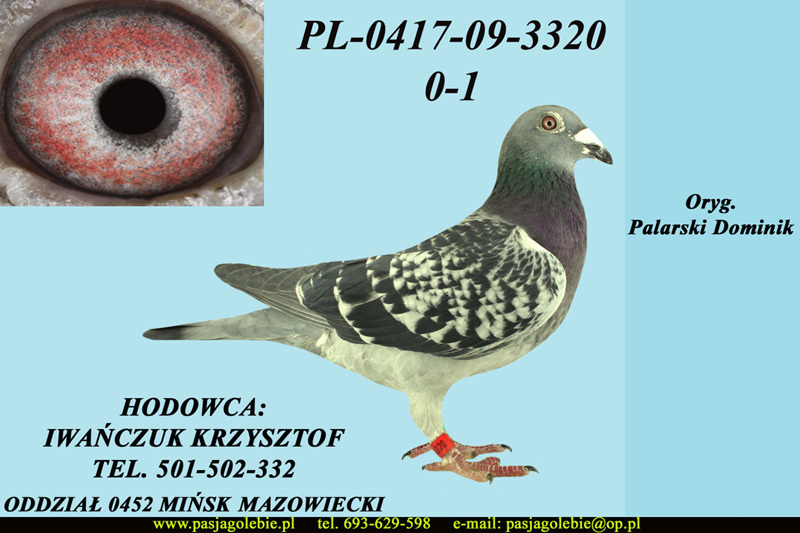 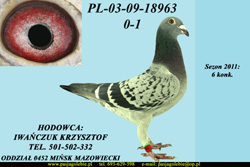 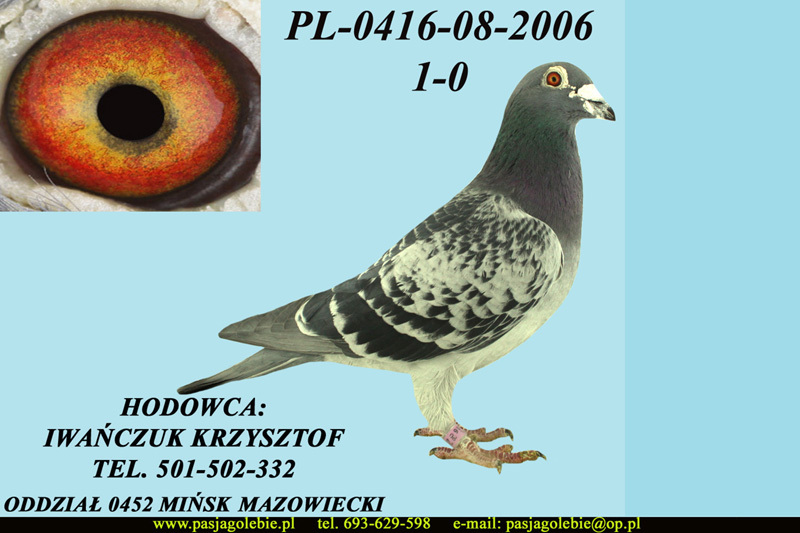 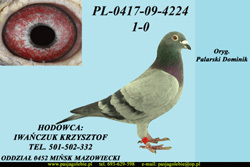 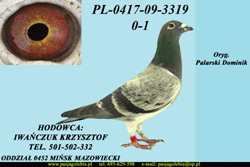 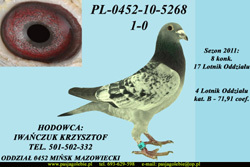 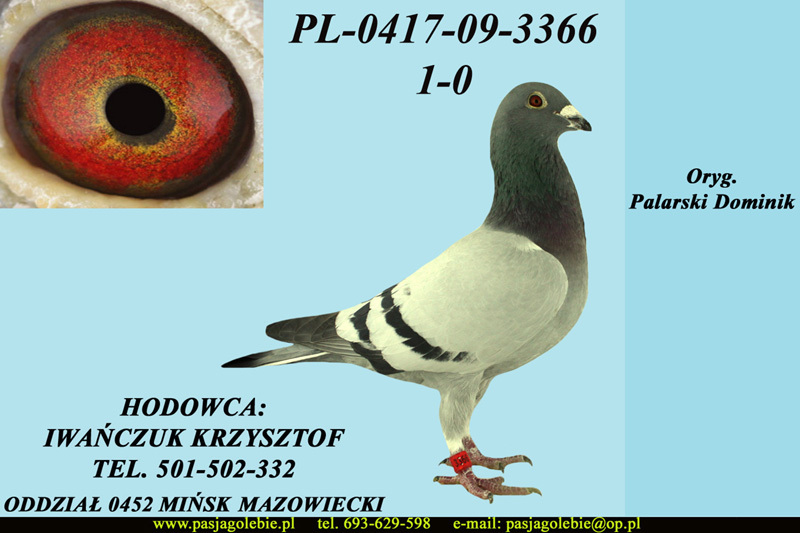 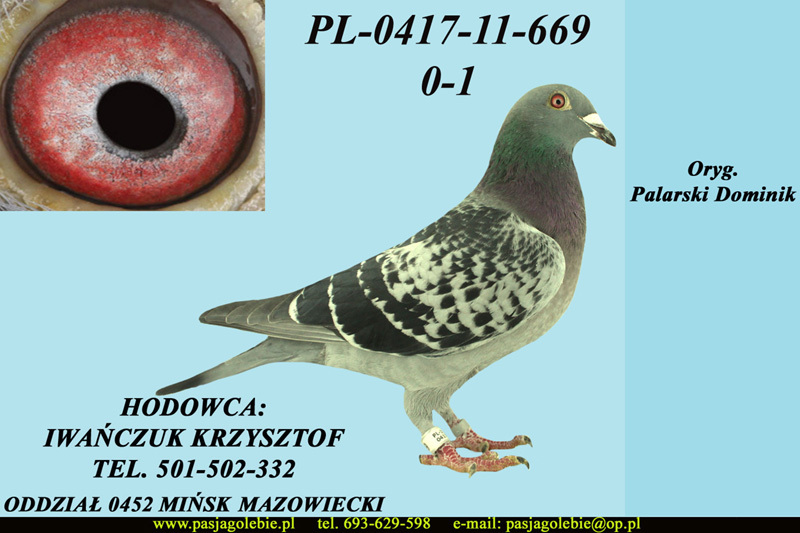 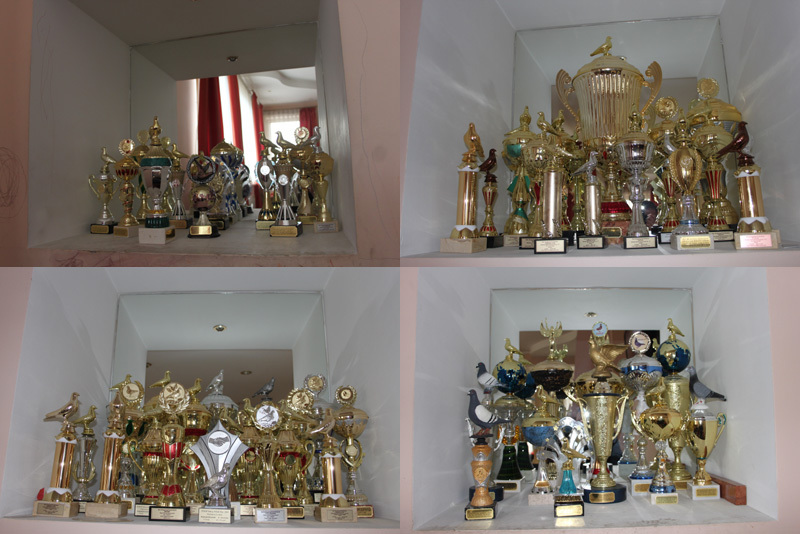 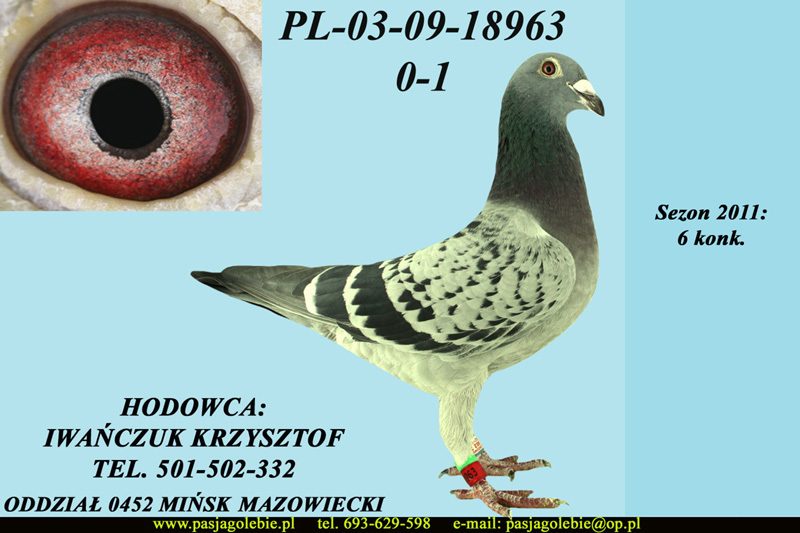 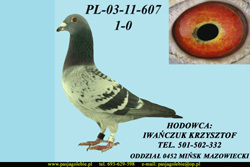 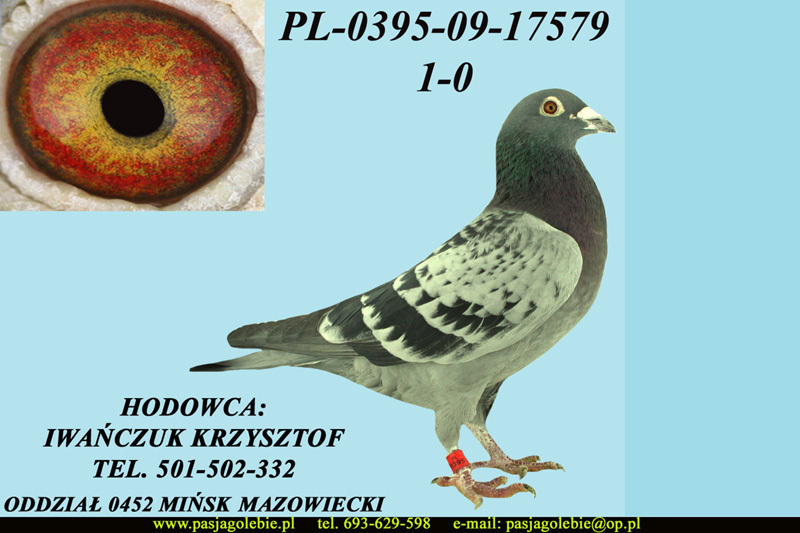 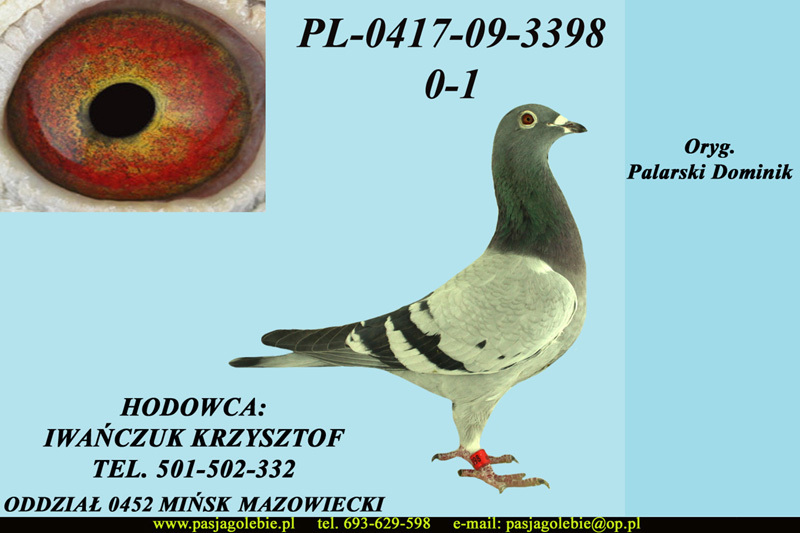 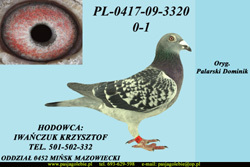 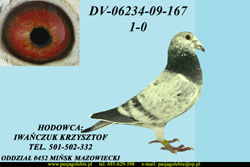 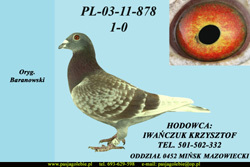 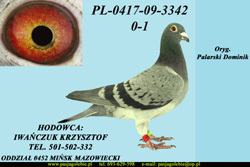 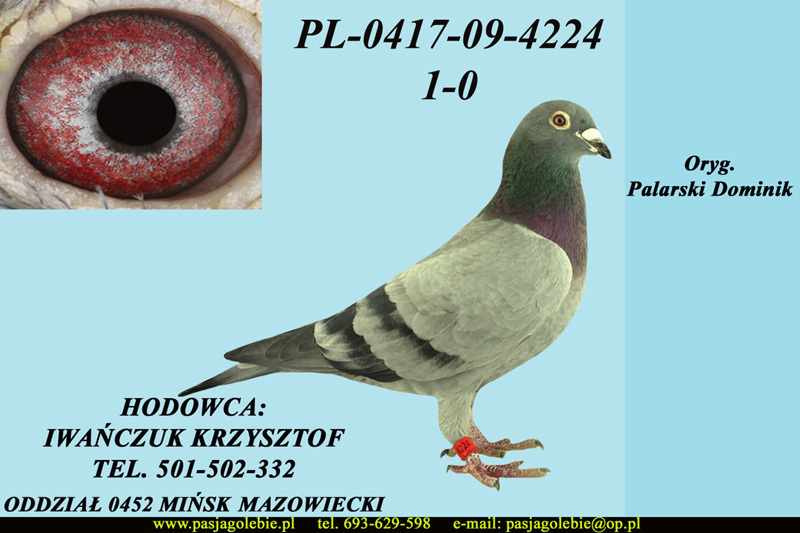 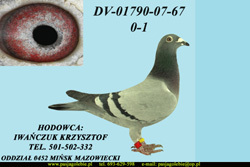 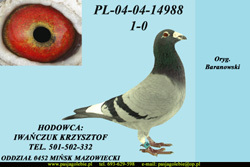 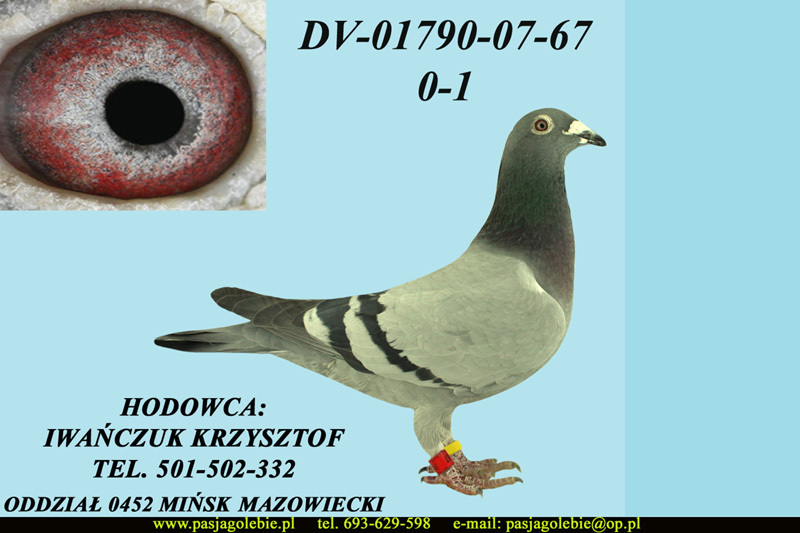 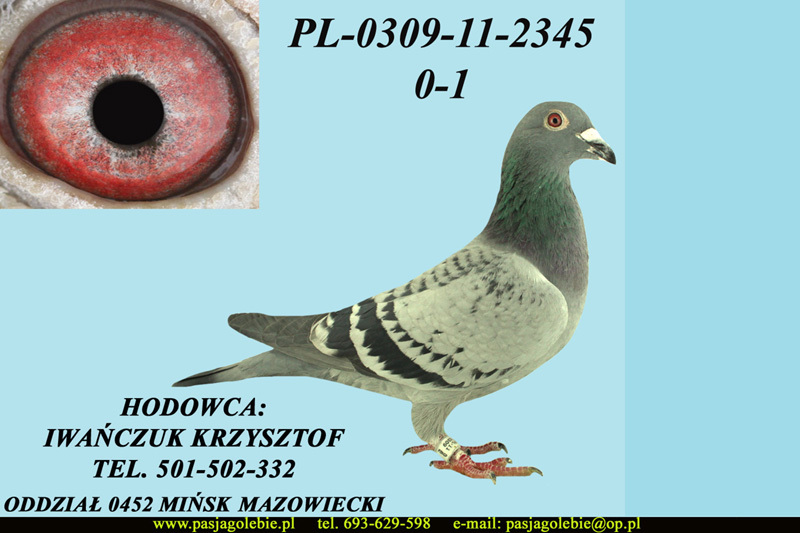 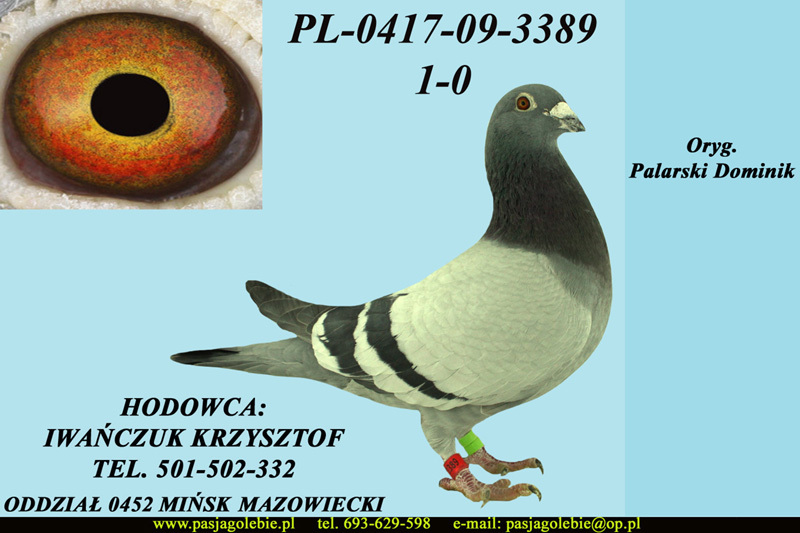 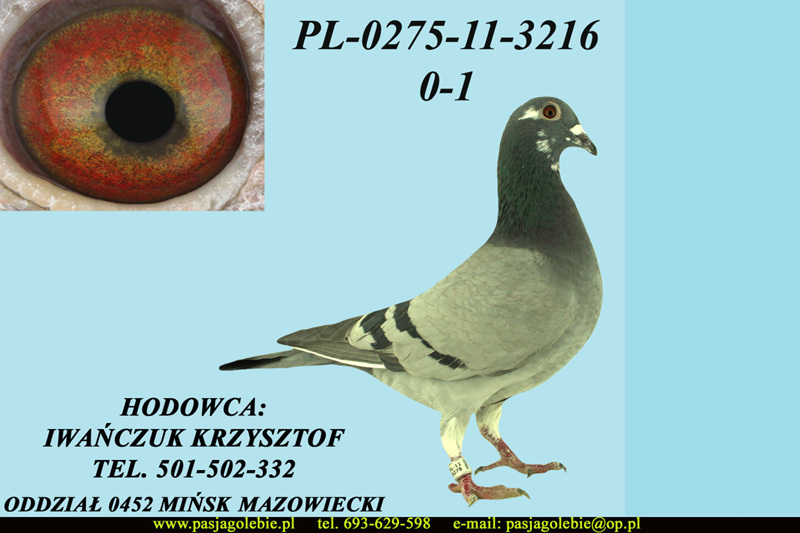 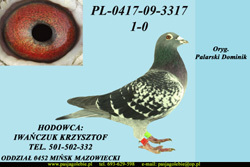 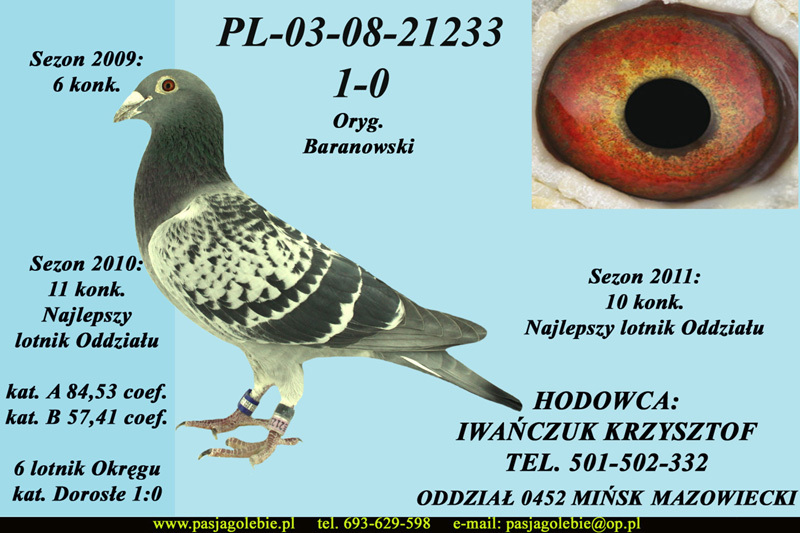 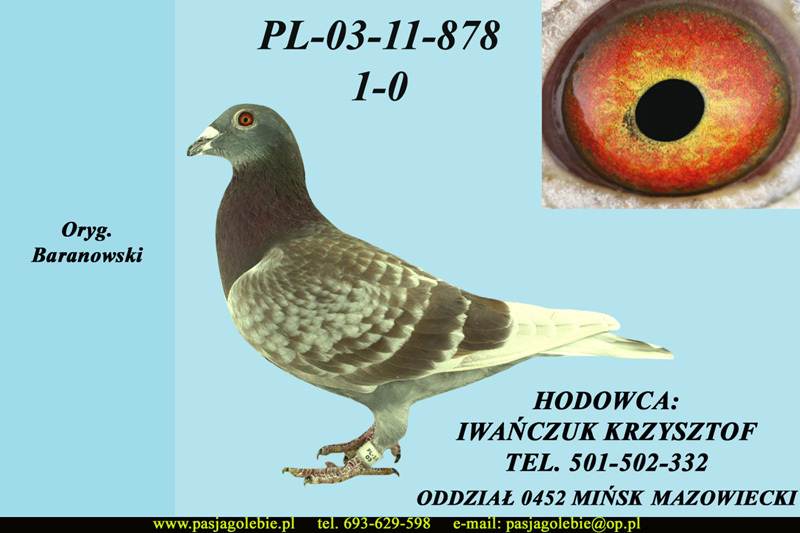 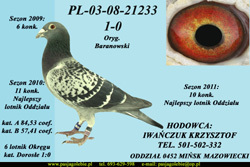 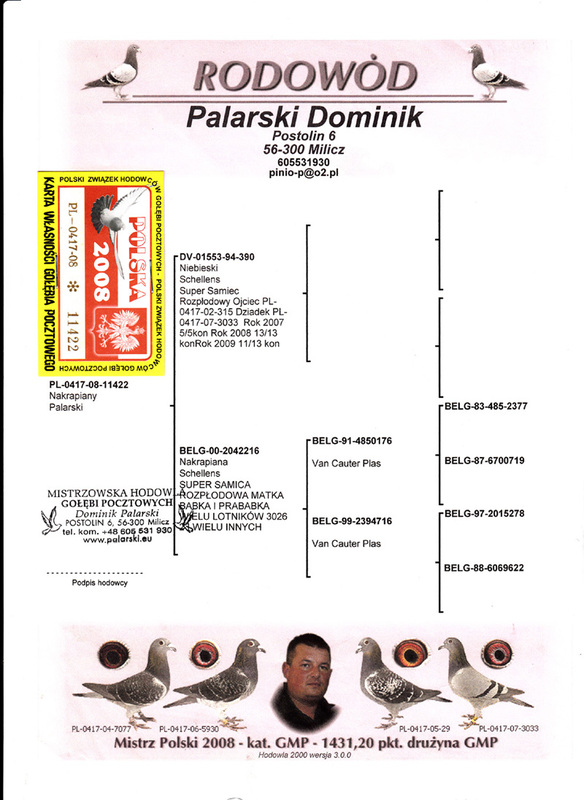 MISTRZ ODDZIAŁU GOŁĘBI DOROSŁYCH KAT.C – 749,56 coef. 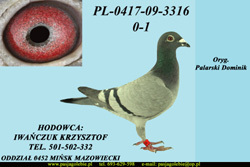 IV PRZODOWNIK OKRĘGU WARSZAWA KAT. 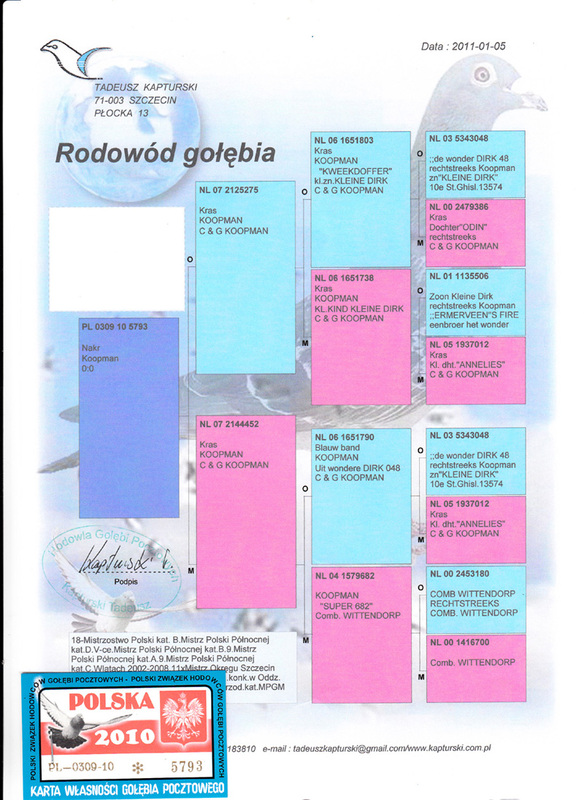 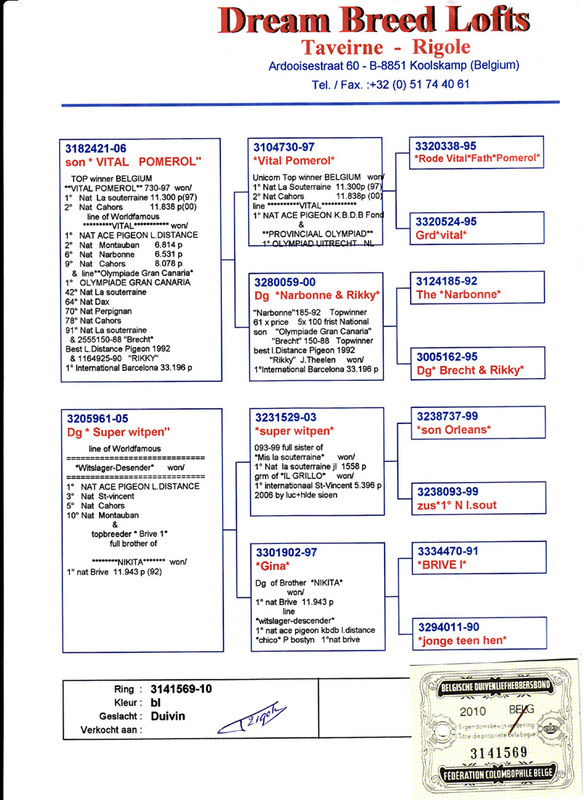 B – 378,16 coef. 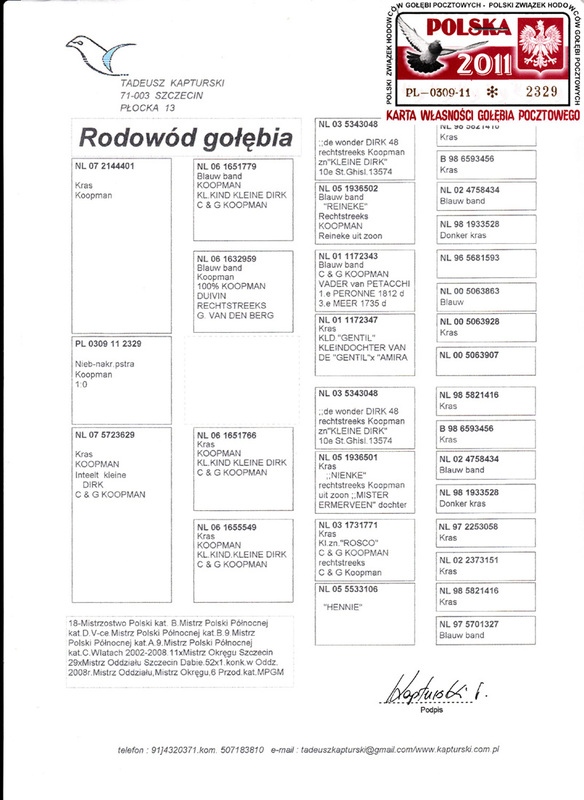 XXI PRZODOWNIK OKRĘGU WARSZAWA KAT. C – 749,56 coef.